Brussels Beer Project is a collective that uses crowd sourcing methods to decide what type of beer they will brew. So far they have created 4 beers this way, including Grosse Bertha and Delta. Now they've just announced the creation of their fifth beer called "Baby Lone". What's special about this one is that it's a "bread bitter" which uses white bread as one of its ingredients. The thought of brewing beer from bread seems a little weird but it seems this has been done before. In Eastern Europe there's a thing called "Kvass" which is a fermented beverage that's made from bread. Kvass has a very low alchohol content of around 1.2%. It's not unusual to see it being sold from street side stalls. The story behind the Baby Lone beer is that 7000 years ago in Babylon, before there was beer there was a fermented beverage made from bread. This beverage was consumed daily in the ancient Babylonian civilisation. Antoine Dubois, one the researchers working for Brussels Beer Project now developed his own recipe for this modern take on Babylonian forerunner of beer. For this they used of course bread, as well as several types of malt an new variants of hops. 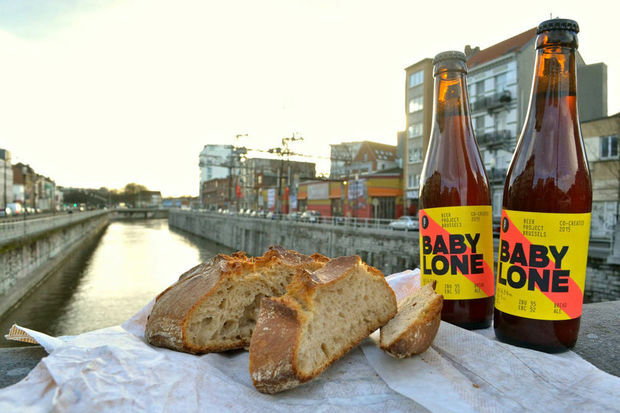 Baby Lone beer has a surprising character with a slightly intense aroma, a bitter taste and of course touches of toasted bread. A non profit organisation in Brussels has brought together several players to organise the creation of this beer. The Delhaize supermarket provides the bread which wasn't sold in their shops as one of the ingredients for this brew. Another organisation collects the bread from the shops and grinds it in to a powder. As usual, all the beers of the Brussels Beer Project are brewed by the Anders Brewery. Brussels Beer Project also receives support of the Belgian government for their sustainable development efforts.